*** Guest Blog Alert! 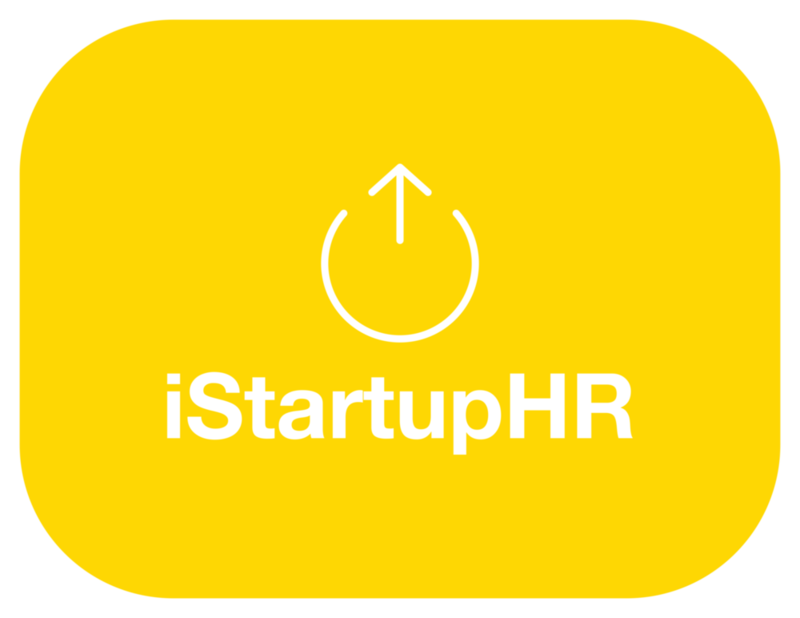 *** When to Hire HR, and 3 Simple Steps to Take in the Meantime! When to Hire HR, and 3 Simple Steps to Take in the Meantime! Have you ever tried to put together a piece of [insert big box retailer name here] furniture with a playful puppy nipping at you, tossing around their well worn squeaky squirrel toy? Well, I have, but even if you haven’t, I’m sure you can imagine this ever so productive endeavor. There you are, just trying to find bracket A to affix to leg C whilst enjoying the hefty box of to-go meatballs and this adorably fluffy tornado of fun comes rolling through your pile of skruvar, prompting you to look up with exasperation only to notice that three hours have gone by on your estimated one hour project. You only have half an upside down coffee table before you’re ready to call it quits for the night wishing you’d sprung for the $59.99 expert assembly. This moment reminds me a lot of the situations I find many Presidents, CTOs, and CEOs in when trying to drive a business to success without the proper support to handle employees’ needs and legal compliance. Thus, my evangelizing to all business leaders begins: you need HR! What this business owner realized, that I always knew in my heart, but didn’t yet have the professional confidence to contend, was that HR is absolutely crucial to the successful growth of a company and the sooner you can dedicate resources to it, the faster and more effectively you’ll be able to grow your business. You see, the President was running payroll, recruiting new consultants, filling out benefits paperwork, managing business insurance, and anything operations related you can think of all on his own. In between client meetings, hands-on consulting work, networking events, strategic meetings, branding initiatives, website updates...you name it, he was doing it. We all say we want to be proactive rather than reactive: well he actually did it! What happened after he hired me was pure and simple: freedom. Freedom from worrying about legal concerns resulting from what he might not know. Freedom to make his business what he had envisioned: a successful, international consulting firm working with Fortune 50 companies. Now, my story went the opposite way - freedom was fleeting - the demands, and conversely, the opportunities I’d expected when I took on this “part-time” gig grew immensely. You see, the more he was able to free up his time from worry and administrative distraction, the more he was able to delegate expansion goals, and the more my plate filled up [I even got up for seconds and thirds. Dessert, too]. Over the course of 3.5 years, we worked hand in hand to expand the business into a dozen states and two European countries. We attended conventions, received impressive accolades, opened a spin-off company, and gained more business than I would have dreamed of. We went from a tiny 9 person company doing pretty well to a 75+ company that was thriving by doing extraordinary work on real, impactful projects. Not to mention, we enjoyed skyrocketing profits! This business owner was thinking ahead when he decided to dedicate precious resources to HR so early, and it sure did pay off. When I compare the experience to that of the CTO’s and Founders I’ve consulted with since I went out on my own, I am amazed at how quickly he was successful versus the slower pace of the ones who have CTOs directly attempting to figure out which payroll product to use and how to implement it, for example (sure, they’re perfectly capable, but there’s something to be said for sticking to domain expertise! As one of my favorite CEO’s always said: “hire people that know more than you do.”). I’ve seen it with my own eyes, and now that you know to look for it, I’ll bet you will, too. 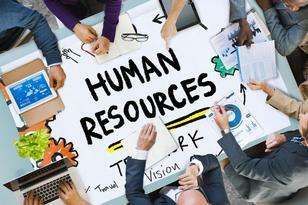 The question of when to hire HR will vary amongst companies, industries, and business leaders. One answer that will never change, though, is that indeed you DO need someone dedicated to HR and the sooner the better. If you have employees, you need HR (even if it’s just fractional); in today’s highly regulated, highly visible climate, there’s nothing but risk if you’re not paying attention to the basics, at very least. What I would recommend to any business leader, though, is to consider your bigger vision. What do you dream for your company in 5 years? 3 years? 6 months? Whatever it is, utilize your HR support to get there. Outsource time consuming compliance efforts to someone who is dedicated to and knowledgeable in the subject matter. Allow HR to understand your vision and work together to align internal operations to your ultimate business goals. I promise, it works! My most recent employer is only one of many cases where I can cite success from using HR strategically and early. 1) Use your benefit vendors’ resources! Every benefit broker I have worked with has offered free or low cost HR resources. Whether it’s assistance in processing new hire enrollments, self-service online portals, newsletters, or educational events, they have something to offer that will help keep you abreast of relevant, up to date compliance topics and administrative efficiency. Additionally, most firms these days are affiliated with larger, national networks. They have plenty of resources available for you to take advantage of! You see, the ultimate goal of your benefit broker is to increase the amount of lives on your policy - that’s how they increase their profitability. It’s very much in their favor to help your company grow! Be honest and upfront: tell your broker that you are concerned about HR and efficient internal operations, and ask them how they can help you to reach your goals through their resources. Going out to market? Ask them what they can throw in to sway your decision from another firm. There’s no risk in asking! 2) Empower your current administrative staff! Most companies have someone that “takes care of HR” within their broader role (perhaps they handle reception, billing, office management, etc.). Just because someone is a skilled admin doesn’t make them an empowered, prepared HR practitioner. There are entire certifications dedicated to the practice and there are many reasons why. One of the biggest is compliance: there are a myriad of employment laws that you are accountable to if you have even one employee. It’s important that you support your admin staff’s endeavors to learn more and implement HR best practices. Encourage them to get involved with a local SHRM affiliate Chapter. Pay for them to get certified by HRCI or SHRM. Allow them to attend educational events during the workweek. Not only will these activities do wonders for employee satisfaction and positive company culture, but they will also help your staff to tune into what’s important in HR and bring it back to your business, helping you to steer clear of time sucking claims and audits! The sooner you implement an effective HR Information System (HRIS), the sooner you’ll enjoy smooth sailing when it comes to business efficiency. I’ve found throughout my career many business leaders wonder what keeps HR busy all day. In between the high visibility project work, we spend 30 minutes here, or 2 hours there just answering inquiries and putting out fires that you may never know of! Employees have benefits questions, issues with accessing pay stubs, concerns about travel and expense policies, etc. Working through these inquiries one by one takes time! While these seem like simple enough obstacles to overcome throughout the day, this time adds up and as any business leader knows, time is money! Implementing a system that will handle your onboarding, employee management, and empower employees to do some self-service triage will go a long way in allowing your staff to work productively towards other strategic projects. Additionally, employees love knowing where to access information directly. I don’t know how many times a request email started with “I’m sorry to ask but can you tell me where I can find…”Some of my favorite low cost options are Paylocity, Gusto, and Paycor (no, I’m not sponsored, but totally open to it). These few simple steps will go a long way in helping your business to run more efficiently and reduce risk to your company. Remember, it just takes one small claim to make a big, negative impact on the bottom line. Got a DOL wage & hour claim for not paying overtime to nonexempt employees, for example? (You need HR if that sentence read like Greek to you) They’re not just checking in on that individual employee’s records - they’re looking through ALL of your records. Back three years even. And they’ll charge you for their troubles and any infractions. Take a small step towards getting some HR support and you’ll avoid many expensive headaches in the future! Older PostMeet the NCDOT at Thursday's Drone Meetup!